Slightly less of an uphill drive and not as tight as the 1st, this hole plays longer than its yardage. 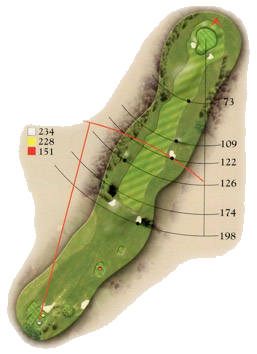 Longer hitters will negotiate the first bank and bunker on either side of the fairway but many a seemingly good drive finds the next bunker on the right, whilst a hook will be tree bound. Care must be taken with the club for the approach as the strength of wind cannot be felt on a fairway sheltered by trees. 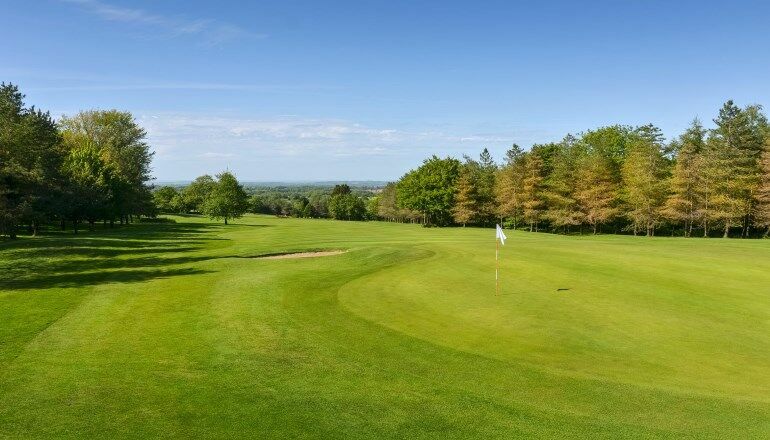 A long green guarded by bunkers right and left is situated almost at the local summit of the Mendip Hills.